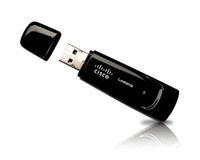 Linksys WUSB100 Wireless Network USB is based on the Ralink RT2870 chipset. Please ensure you select the correct Hardware Version as not all downloads are compatible with your device. dose not work CAN NOT download drivers that I need!!!!!!!! I made sure to make note of the hardware ID, not just the device name while in the device manager of the computer I needed to fix. I downloaded to a thumb drive for my son’s XP. Ran and it installed the drivers we needed!